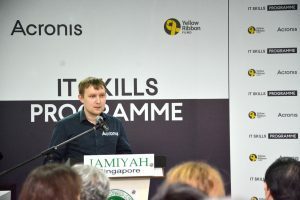 Residents of Jamiyah Halfway House successfully completed a four weeks of IT skills Programme which was fully funded by Acronis and Yellow Ribbon Fund (YRF) on a 10-year cooperation in giving back to the community by providing IT skills Programme. 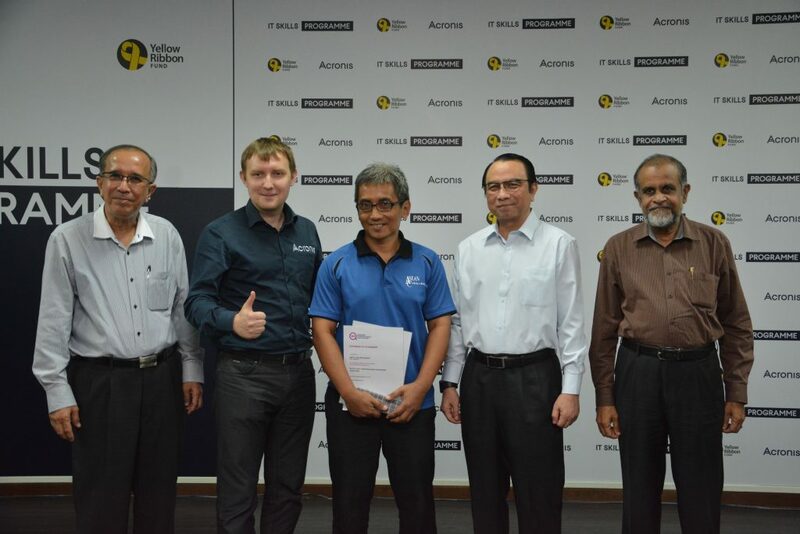 This is the first run of the course and 15 residents from the home have completed an IT course that is developed by Acronis and YRF together. On 17 October 2018, Acronis, YRF and Jamiyah celebrated the success of the participants at the graduation ceremony held at Jamiyah Halfway House. Present at the ceremony were Vladimir Zatsepin (Vice President, Head of Singapore R&D, Acronis), Chiong Woan-Shin, Director, Government Relations and Partnership Development and representatives from YRF. 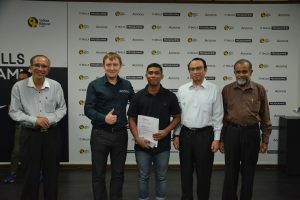 Also present at the occasion were officials of Jamiyah Singapore, Prof (Adj) Dr Mohd Hasbi Abu Bakar (President), Dr H M Saleem (VP 1), Dr Isa Hassan (VP 2), Dr Mohamed Nizam Mohamed Hamzah (Director of Corporate Strategies & Planning), Mr Halim Aliman (Director of Community Outreach and Development and Human Resource) and Mr Shariff Yatim (Head of JHH).